For my Fall 2017 semester as a student at Colorado State University, I took a Graphic Design Independent Study course as a "Senior Thesis" of sorts. 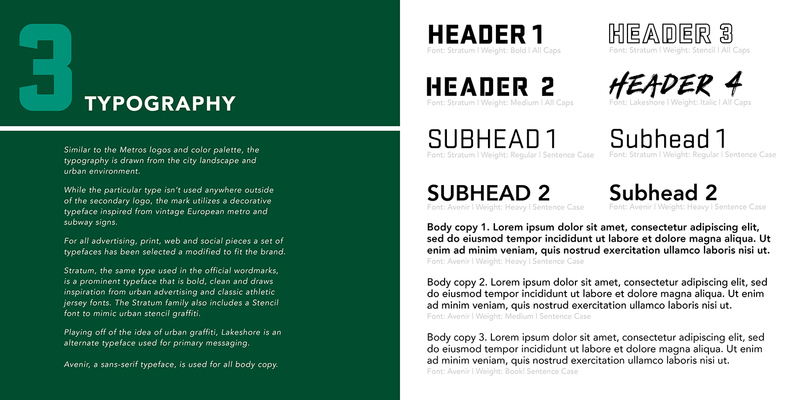 The initiative for students was to take an existing brand, update and improve the marks, and create any and all necessary collateral to go with the refreshed brand. 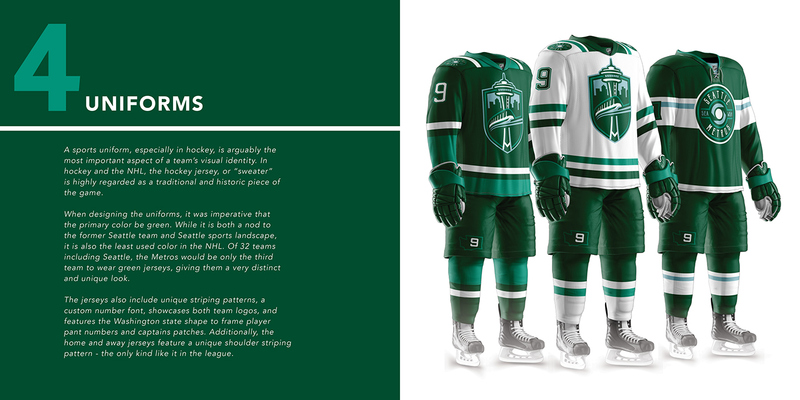 With a goal of working in the hockey design industry, I knew I wanted to work on a NHL brand, but proposed this idea to my professor: an expansion team where I can create the brand identity and ideas from scratch. 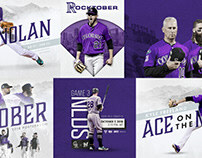 Initially, my idea was shot down, but she and I agreed on a compromise: I could create a brand identity package for an expansion team IF I could pull other similar logos and designs that I was basing my work off of since a key component of this project was improving upon an existing brand. 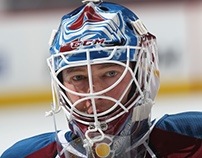 This project began in July 2017 and the logo process was done in about September (as the whole project had to be presented in early December). 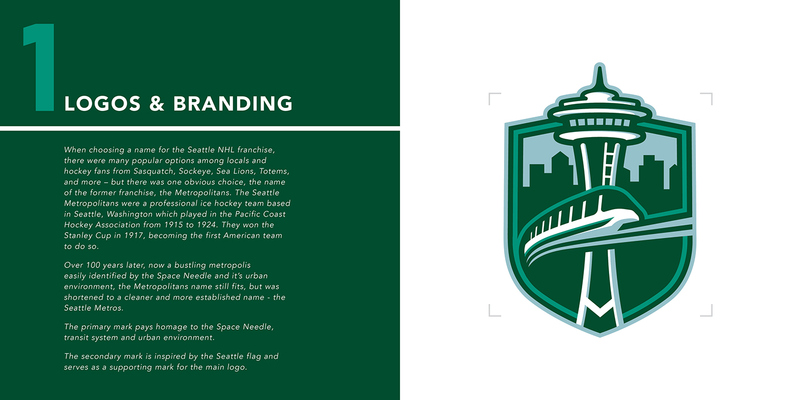 When I was choosing a team, there was no doubt I wanted to focus on an expansion team in Seattle, WA - a city very special to me and a city I've advocated expansion for for years. 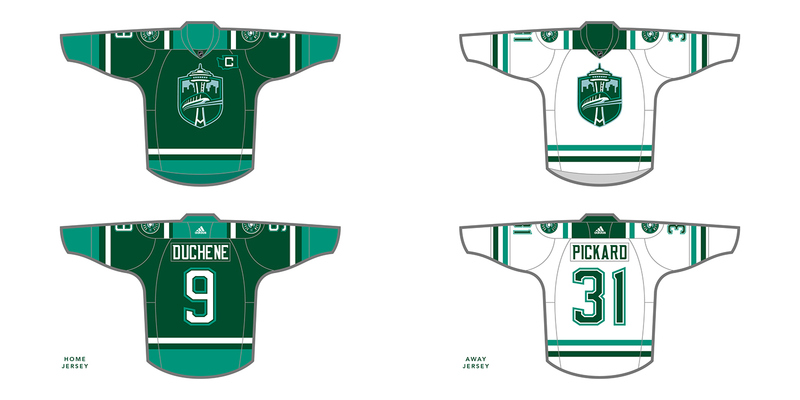 I'd name the team the Metros - honoring their early 1900's franchise the Metropolitans - and I found tons of great inspiration and branding to base my work off of and build upon. 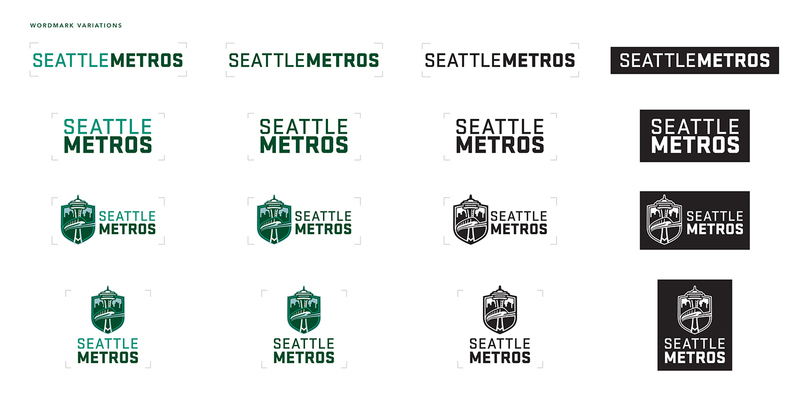 This primary mark draws large inspiration from the Seattle Sounders MLS logo, a Seattle Metros logo and jersey concept by Ryan Haslett, and a Seattle Metros logo concept by Adam Walsh. 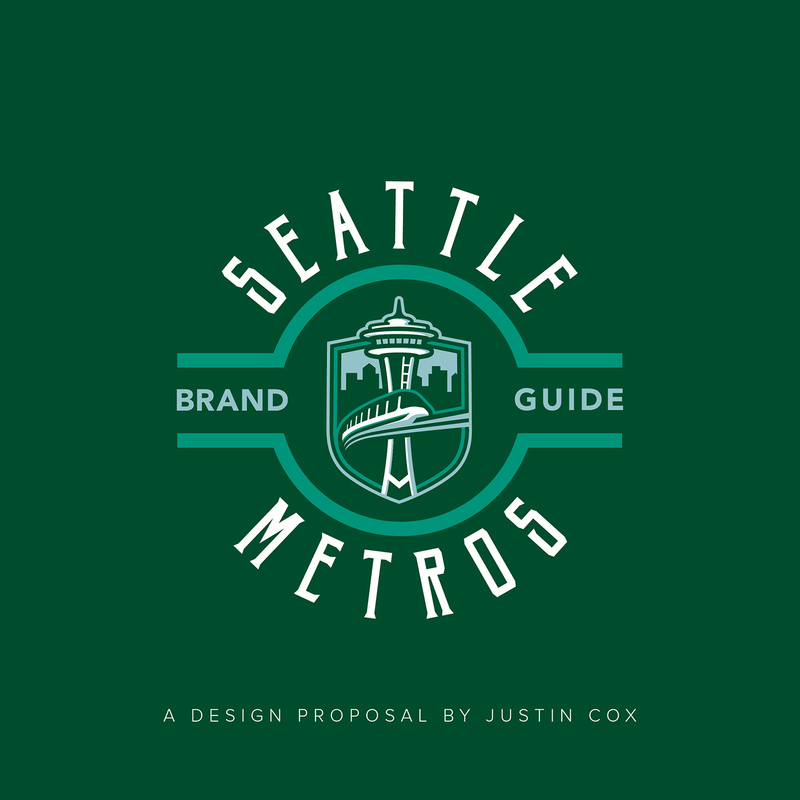 Ryan Haslett, founder of HockeyJerseyConcepts.com, created a Metros logo years ago that intertwines the famous Seattle monorail and Space Needle, and I have always loved the concept. 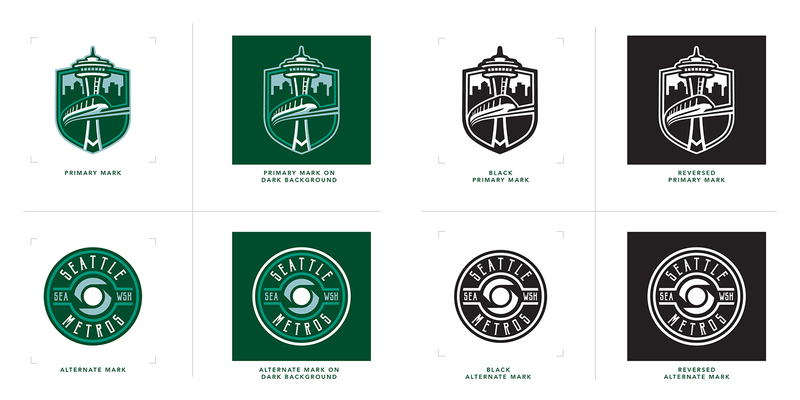 Beyond that, Adam Walsh created a similar Metros mark and used distinct color palette, shield shape, and skyline to help develop my "brand refresh." These two logos were my primary inspiration for this logo and base for my project. 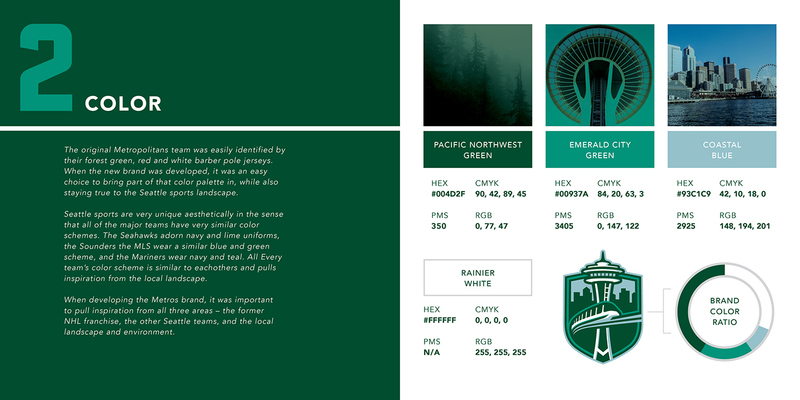 The course of this semester long project saw the development of the Metros logos, branding, style guide, uniforms, advertising, marketing, and more. I successfully presented the project in December of 2017 and I'm very pleased to share the full project with everyone. 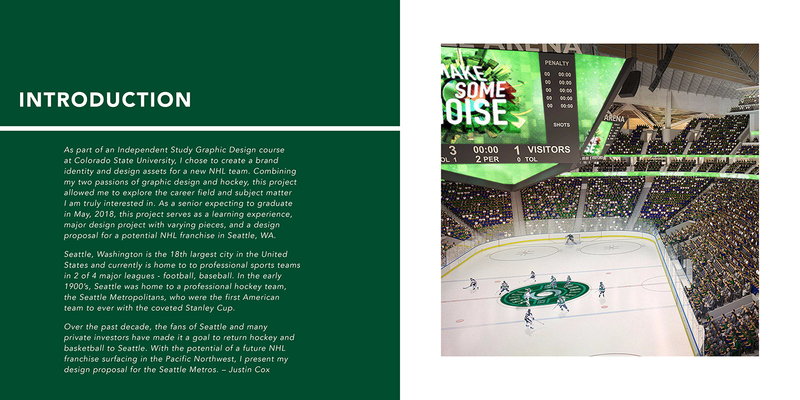 Ironically, in December of 2017, the same week I presented this project, Seattle City Council approved the renovation of Key Arena, making an NHL franchise possible. 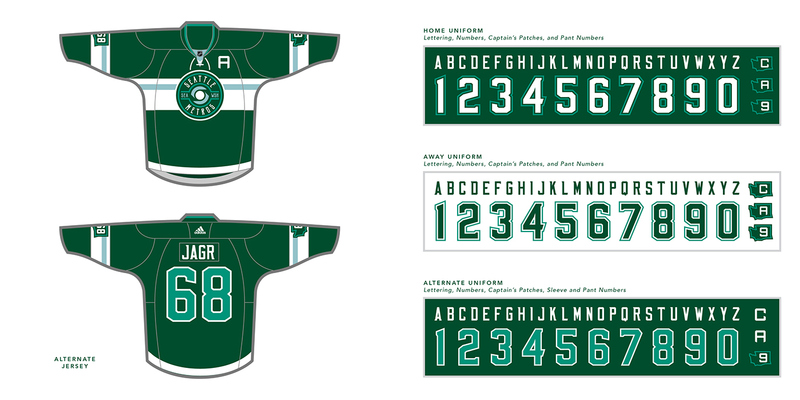 In February of 2018, Seattle officially submitted it's application to the NHL and was granted permission to run a season-ticket drive. It's pretty funny how this all happened on a similar timeline and I hope to soon see hockey in Seattle, WA.